Ten Christmas songs with CD (performance and backing tracks) and piano accompaniments, five with optional recorder parts. The NEW free CD includes versions of backing tracks with and without recorder parts. A free powerpoint presentation of all the song words is e-mailed with each order. 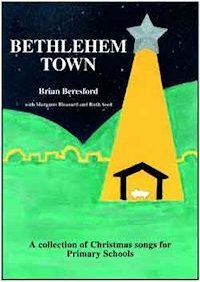 An ideal basis for a Primary School Christmas Play, Concert or Carol Service, providing a framework for an exciting approach to the traditional Nativity story. Five of the songs have optional recorder parts. These are easy to play but provide the performers with an opportunity to 'shine', as they sound very effective. The purchaser of the book has the publisher's permission to make copies of the recorder parts. Long Ages Ago is Well received by any audience, with the setting of "Wonderful, Counsellor..." giving the listener and performer an uplifting experience. The song tells the story of the angel's visit to Mary. Recorders add a harmonic variation to the verse, and the song ends with an exhilarating flourish. Mary, Mary, Mary has verses which sensitively explore Mary's feelings on meeting the angel and are ideal for a soloist. These sections are contrasted in comforting, optimistic choruses. Key Stage 1 children love singing The Journey, which trots along in a way that suggests urgency as Mary and Joseph travel by donkey to Bethlehem. In Three More Days we hear of the feelings of those undertaking the "journey so difficult and long". The piano accompaniment seems to keep them moving when they would rather rest! Never Known A Day Like This is a song for an overworked innkeeper who, despite his own problems, finds somewhere for Mary and Joseph to stay. A soloist might take the lead. Recorders play a contrasting section between verses where the innkeeper struggles to help the couple. The atmospheric, haunting melody of Watching Our Sheep describes the confusion felt by the shepherds as they are disturbed by angels. By the time the recorders have developed the tune, the shepherds' indecision is resolved, with peace, good will and great joy ending the song. They Have Seen His Star tells of the Wise Men, who call to visit Herod before continuing their search for the new baby. A peaceful song, which contrasts with what is to follow. In I Am The King Round These Parts, Herod sings with much anger, giving a stark warning to "anyone thinking of taking my throne". His words are repeated in the chorus, emphasising that his people are forced to go along with whatever he says. Simple recorder parts add to the atmosphere of suspense. All The Earth Will See The Lord is in a slow blues style. It tells of the importance of preparing a way for the Lord, and of the rewards for those who rejoice in His name. Recorder players have a rare opportunity to play the blues! The final song, Bethlehem Town, moves from thoughts of the baby Jesus to news of Him as "Redeemer so dear". 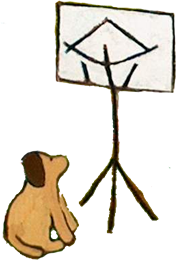 It has a simple but moving chordal accompaniment, and each verse is led by soloists (or two or three children together) and repeated by all. The two-part closing verse is not technically demanding, but sounds effective and provides a memorable finale to any performance. Copyright ©2013 One More Time!